We have failed to solve the epidemic of malnutrition and starvation that continues to exist in many parts of the world, and now, as a global community, we are also struggling with the growing pandemic of non-communicable disease, which continues to spread as populations transition toward the Western eating pattern. 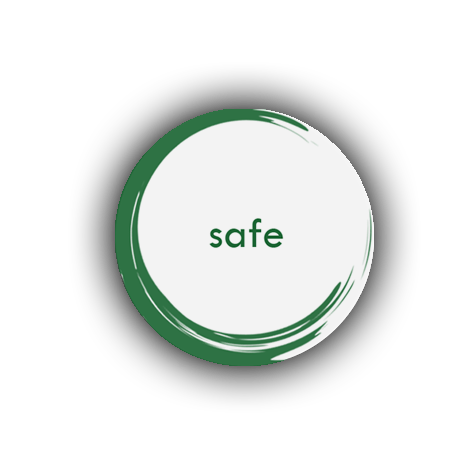 We have been negligent in other ways too: climate change, arguably humanity’s biggest challenge yet, is driving us out of the calm of the 11,000 year old Holocene, and into uncharted territory- what some scientists refer to as a new epoch in and of itself: the Anthropoc‍‍‍ene. We eagerly await the publication of the Commission’s report, which is expected to be released in The Lancet early next year (2018). 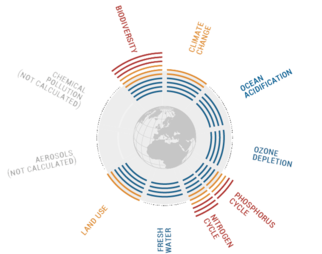 If you’re interested in following the commission’s progress you can do so here. Listen to a recent RNZ interview with Rockstrom. This is why Rockstrom and nineteen other world renowned scientists have formed the EAT-Lancet Commission and embarked on the lofty challenge of helping to inform how a transition toward a healthy and sustainable global food system could be achieved, and what implications doing so might have for meeting both the Sustainable Dietary Goals of the United Nations and the Paris Climate Agreement. It is great to see the world renowned medical journal, The Lancet, on board with such an endeavour, especially since its most recent Commission on Health & Climate Change barely mentioned agriculture’s impact on the environment, nor did it address the climate change mitigation potential of dietary change (not to mention the numerous health co-benefits). 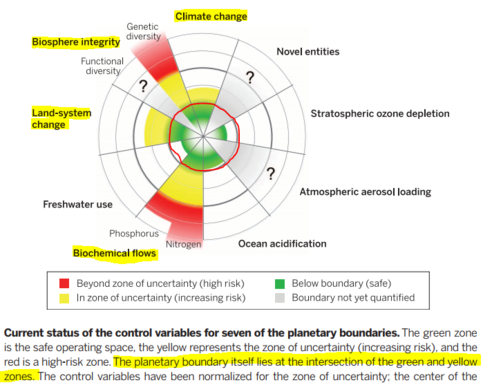 According to a 2015 article in the journal Science, four out of the nine planetary boundaries, which safeguard Earth’s natural cycles and maintain a ‘safe-operating space’ for the continued existence of life, have already been breached- namely Biosphere Integrity (biodiversity loss), Land-System Change (deforestation), Biochemical Flows (nitrogen and phosphorous perturbations), and, of course, Climate Change. A fifth boundary- Ocean Acidification, is on the cusp of being transgressed. Rockström, J., Stordalen, G. A., & Horton, R. (2016). 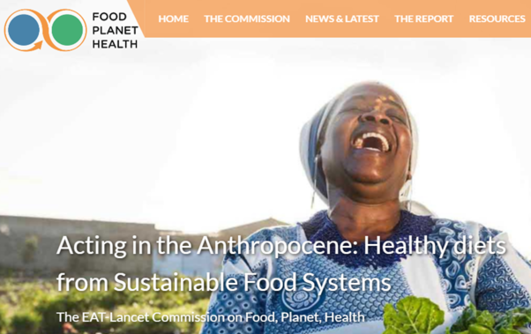 Acting in the Anthropocene: the EAT-Lancet Commission. The Lancet, 387(10036), 2364.